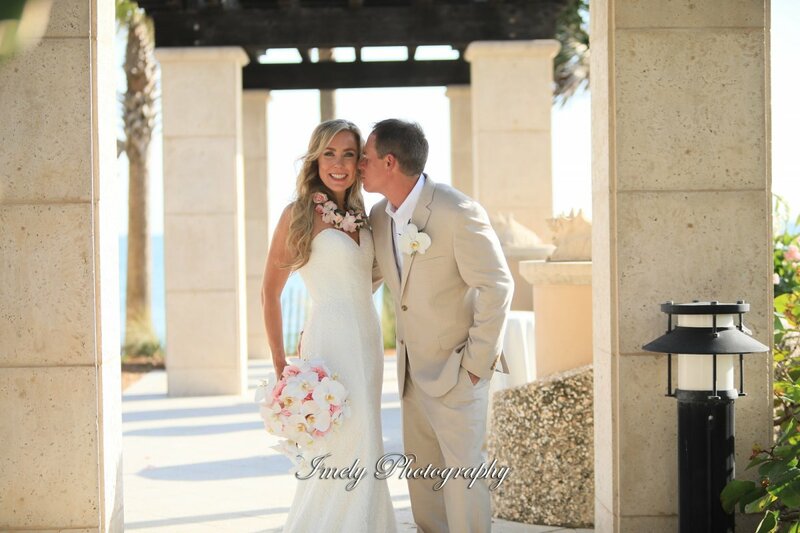 This was a small destination wedding that was big on style and beauty at the Ritz Carlton Beach Club. 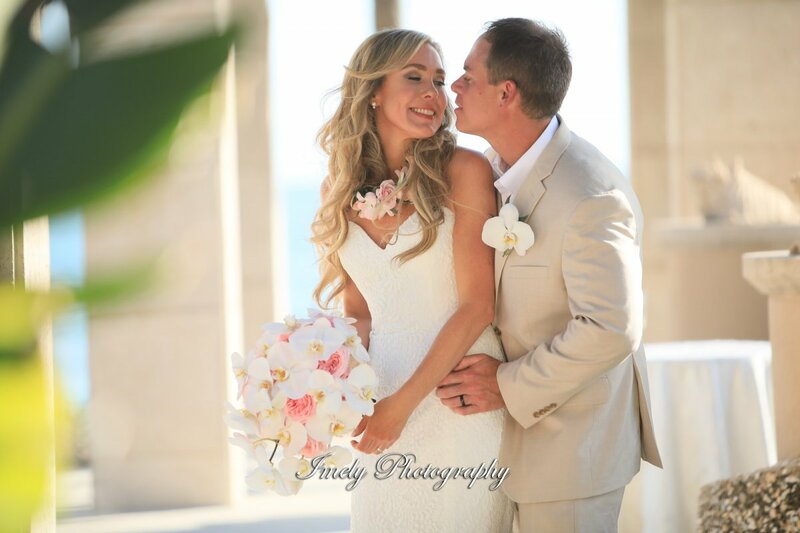 It was an intimate gathering of 24 guests who enjoyed an absolutely beautiful wedding at an equally beautiful venue! 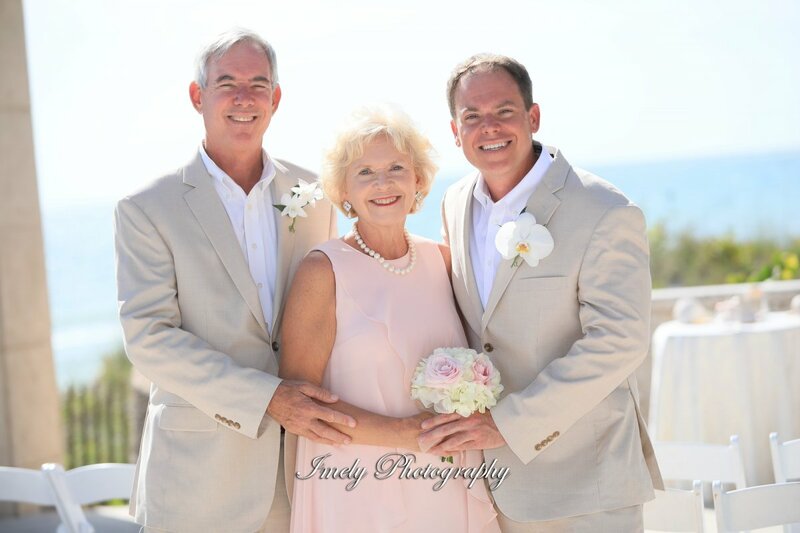 Blush is still holding strong as one of the most popular colors for the season and featured prominently in this beach wedding. 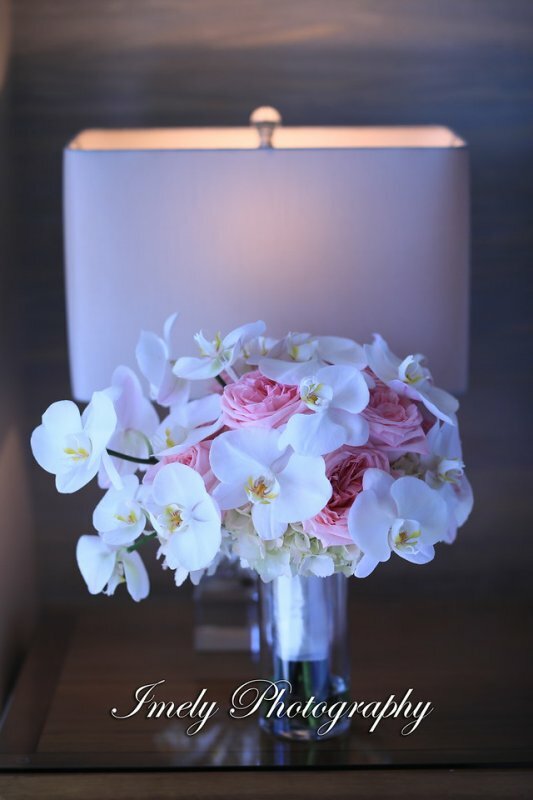 The bridal bouquet was composed of blush hydrangea, Pink O’hara garden roses, and white phalaenopsis orchids—full of tropical style and beauty. 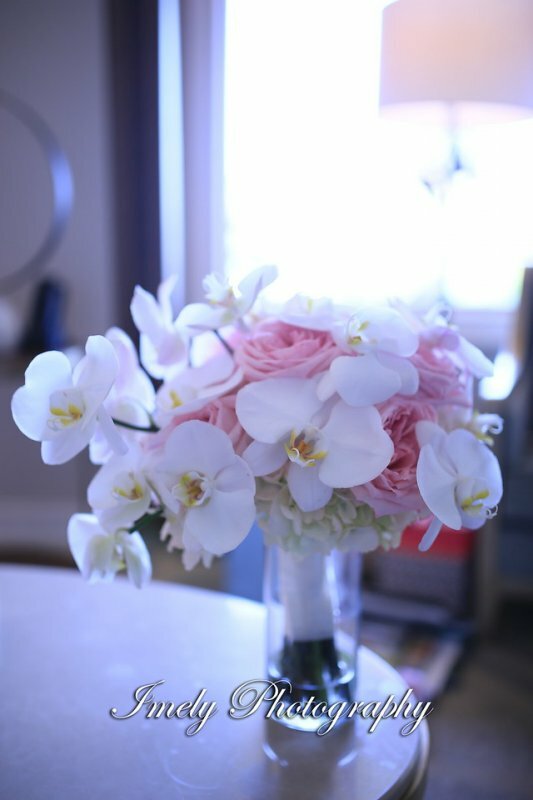 The groom wore a Phalaenopsis orchid, too. 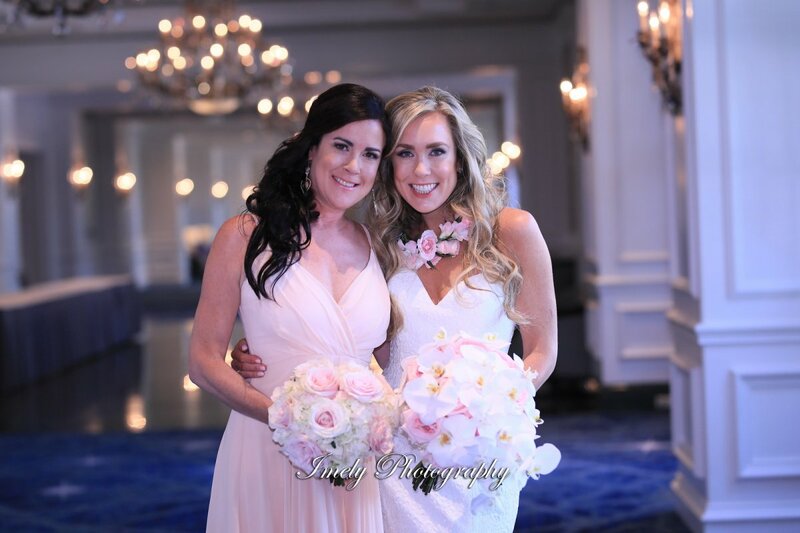 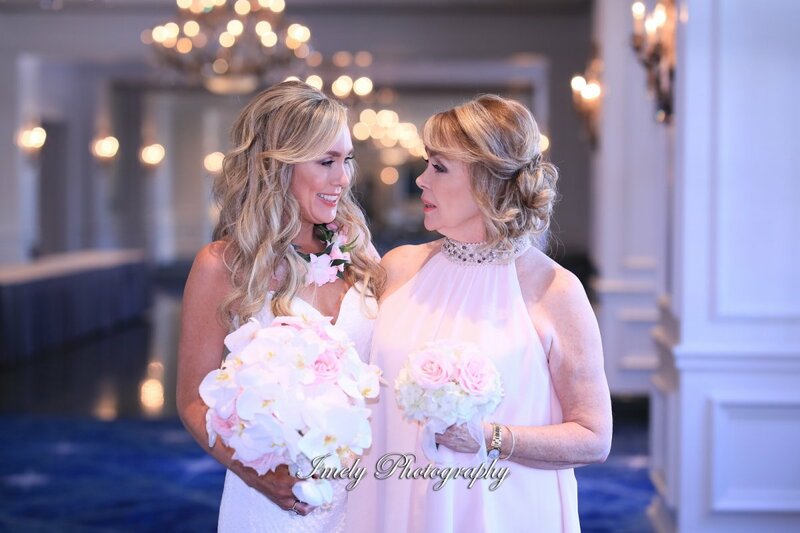 The maid of honor’s bouquet was blush hydrangea with pink Mondial roses…so simple yet so pretty! 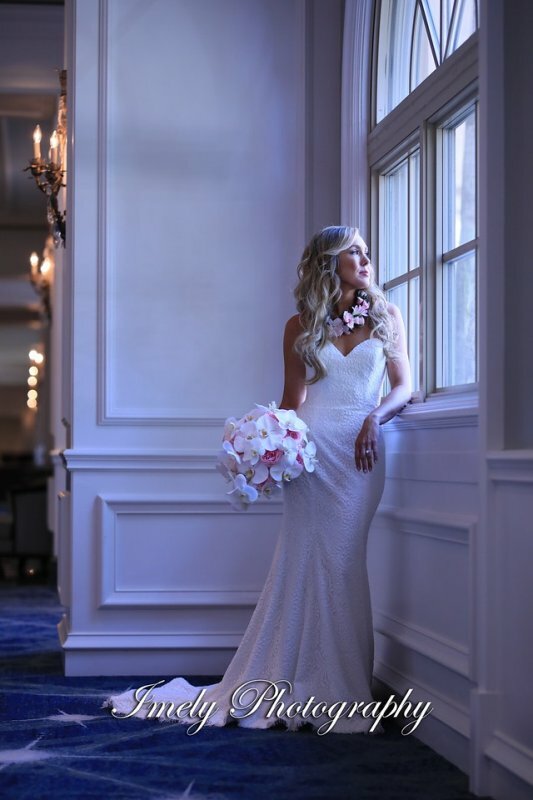 The bride, who had seen a photo in a magazine of her style gown being worn with a floral necklace, wanted something similar but in her color theme. 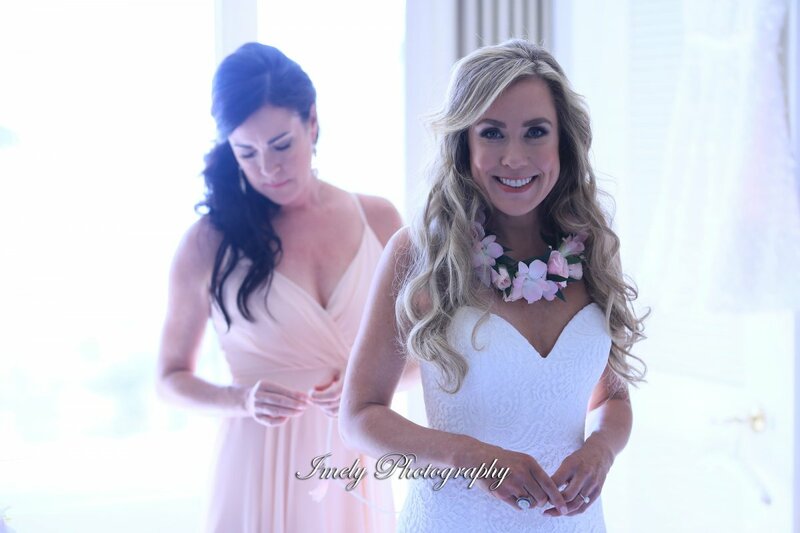 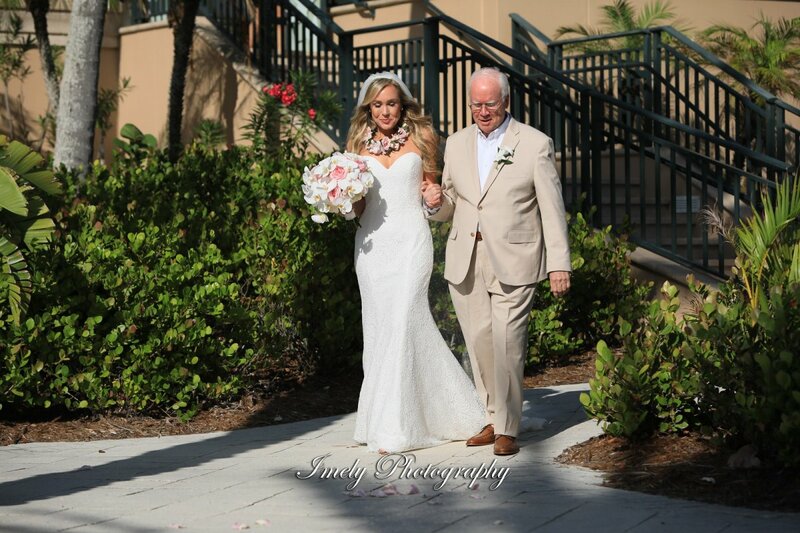 So we designed a stunning floral necklace for her with Marco Polo blush orchids and small spray roses. 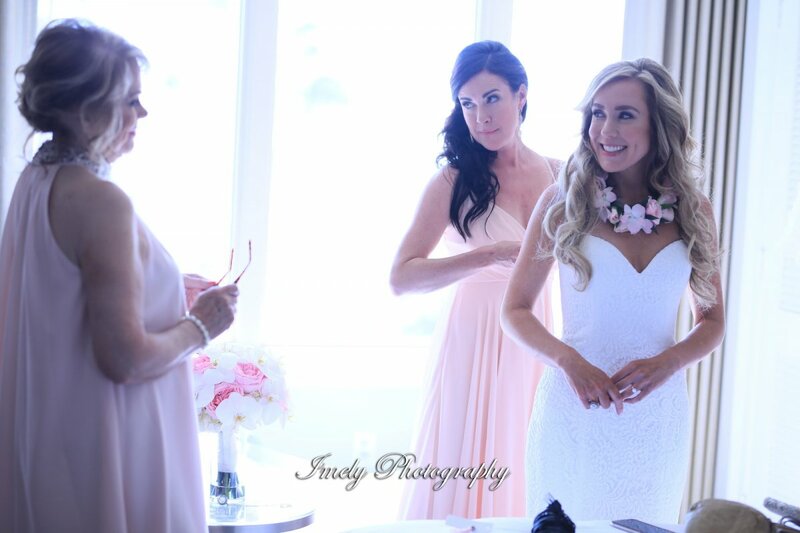 It looked fabulous on her! 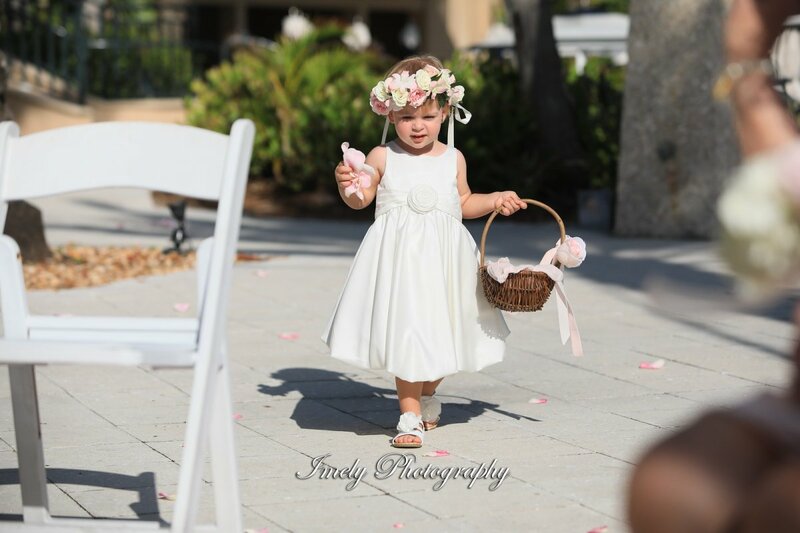 And just about every family member had flowers as they all took part in the ceremony, from ring bearers and young ushers to the flowers girls. 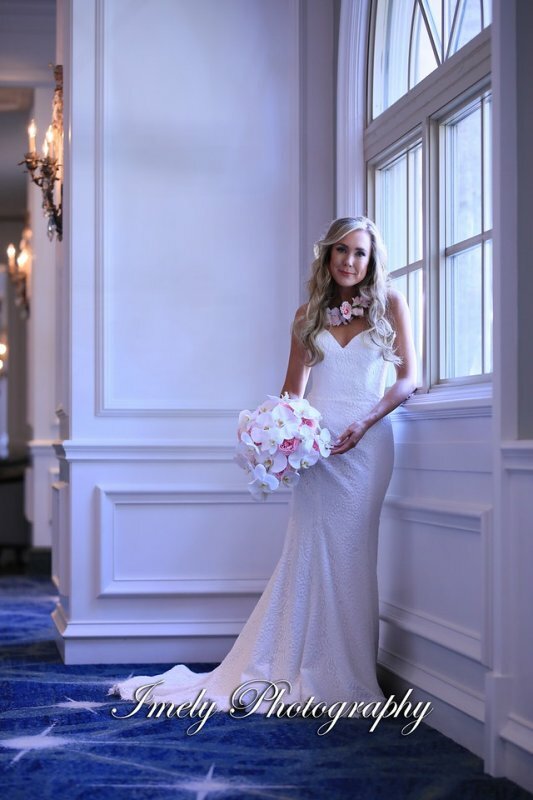 This wedding was a floral feast for the eyes! 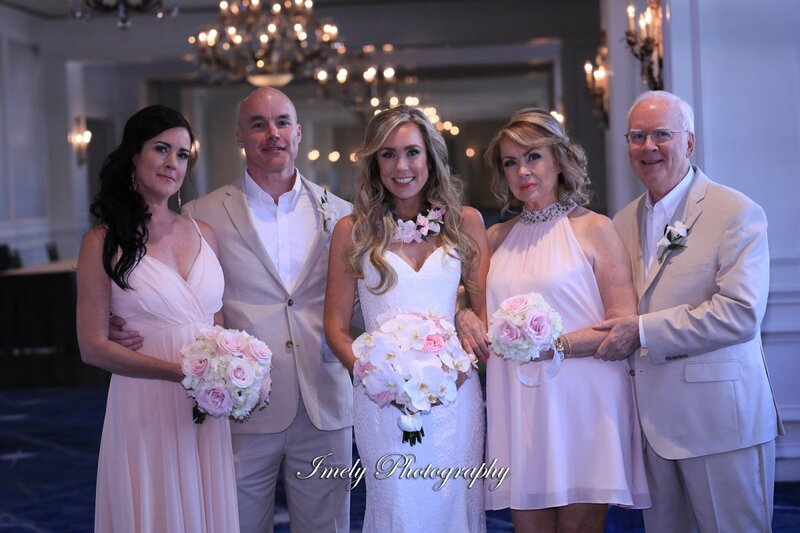 The ceremony was held on the Low Tides Terrace facing out to the Gulf with 2 pretty arrangements that framed the couple during the ceremony; these were later brought inside and placed on the bar. 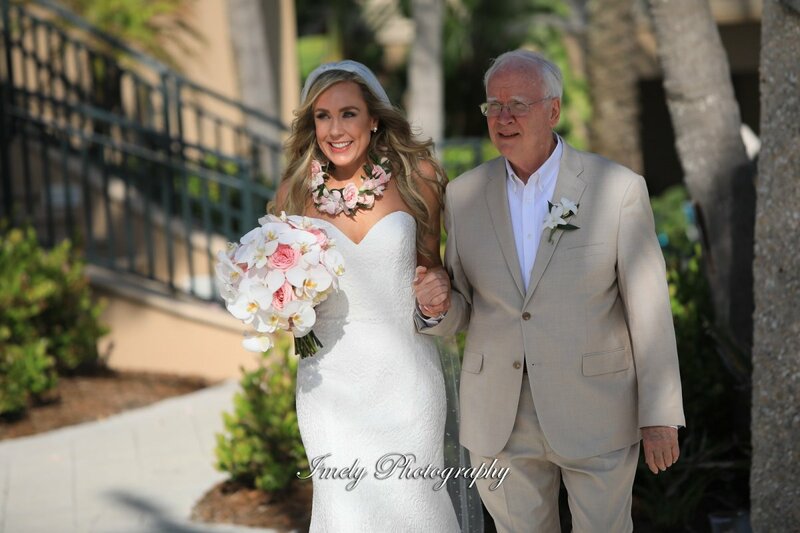 Pink rose petals lined the aisle and made for a beautiful touch to this amazing ceremony. 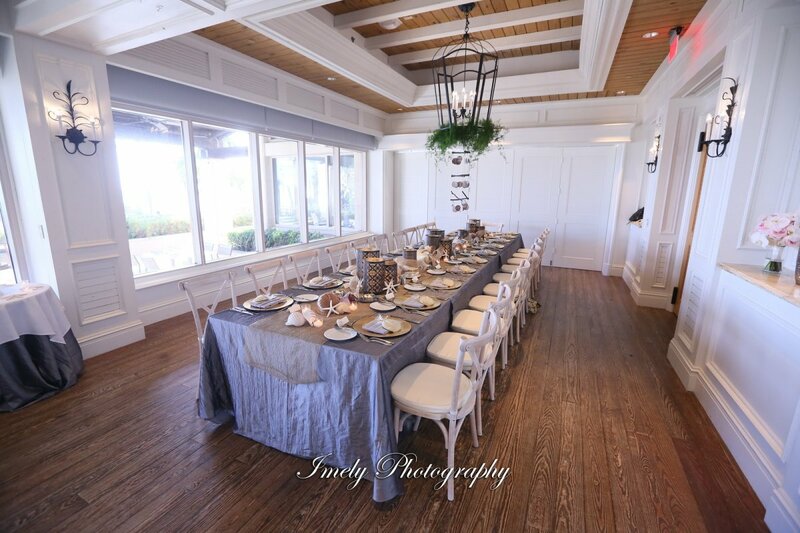 The reception in the new Seaglass Room at the Ritz Carlton Beach Club was equally as lovely! 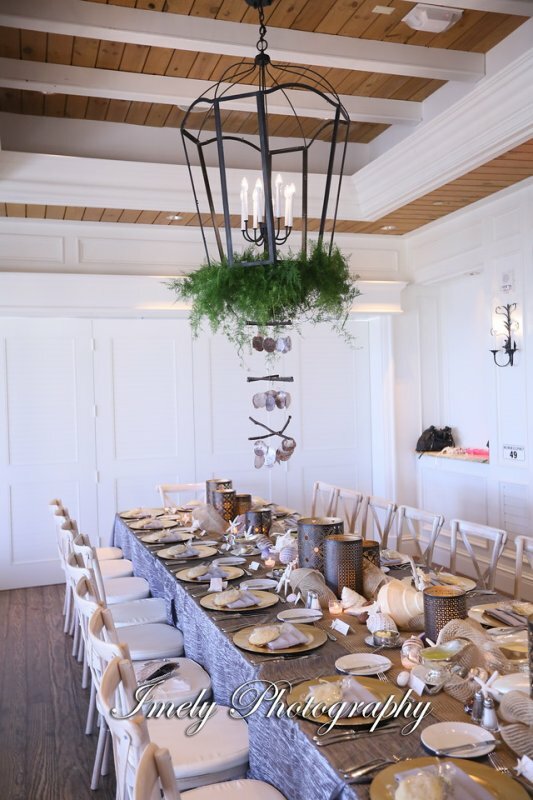 The shell and candle décor on the long feasting table went with the beach theme perfectly. 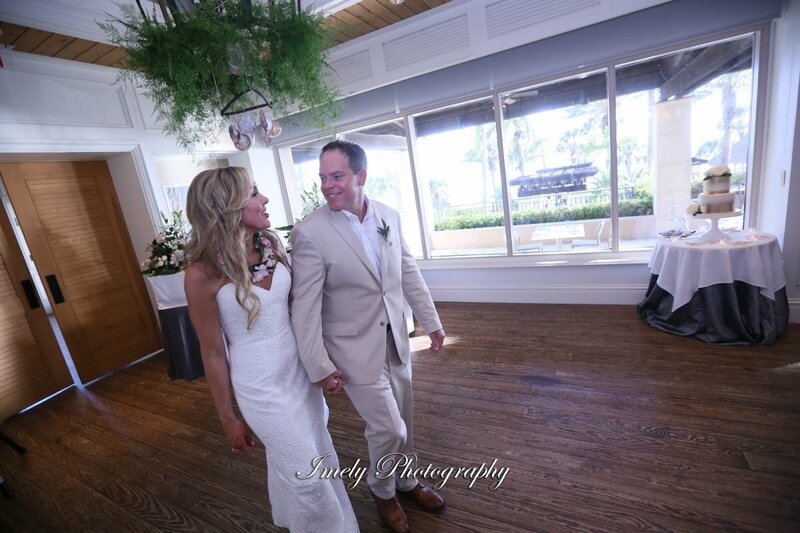 The garland of greenery and a simple shell decoration suspended from the chandelier over the dinner table was also a perfect touch and was also be done over the dance floor area. 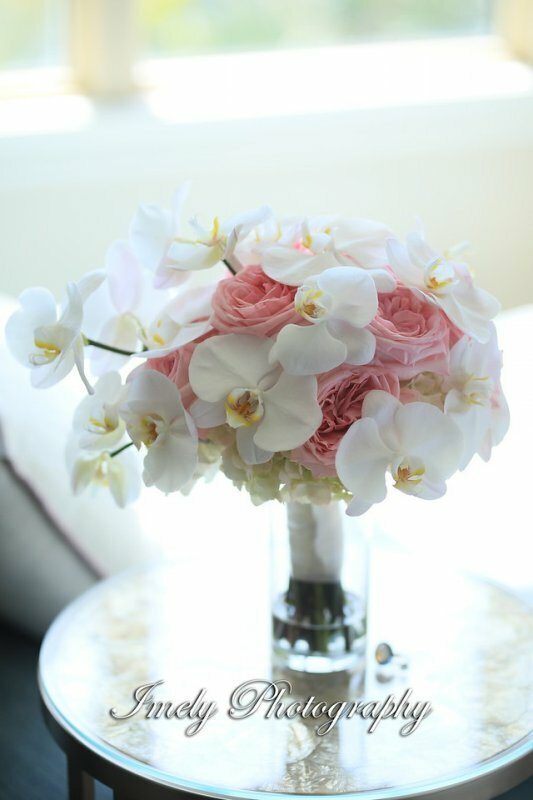 And finally, a few Playa Blanca open cream garden roses where used on the cake prepared by the Ritz Pastry chef. 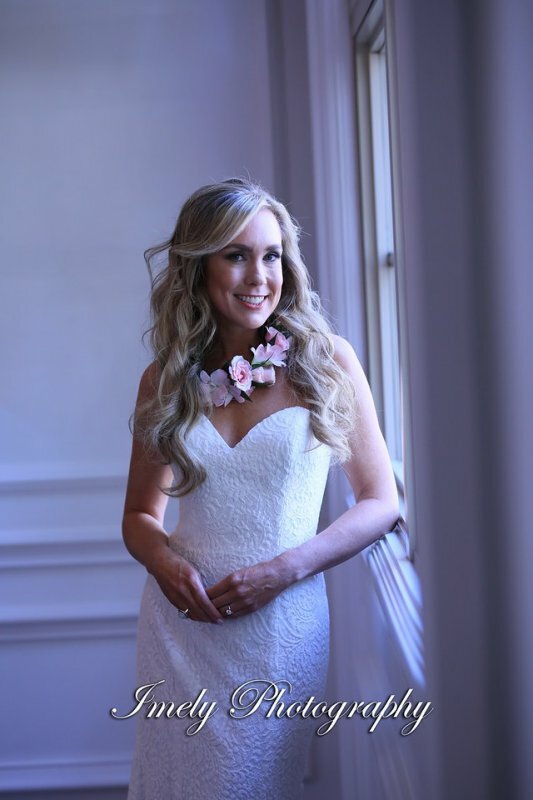 This wedding was sweet, simple, and lovely in every way.